So with just over 12 hours left to go before my first flight (to Portugal and then onto Caracas, and then Puerto Ordaz) I am finally packed! It has taken me a long time to collect together every last item to include in my bag – and I’ve probably spent a lot more money than I intended on items to go into the bag, and the bag itself. But I’m happy that I finally have everything I want and it all fits, just about. 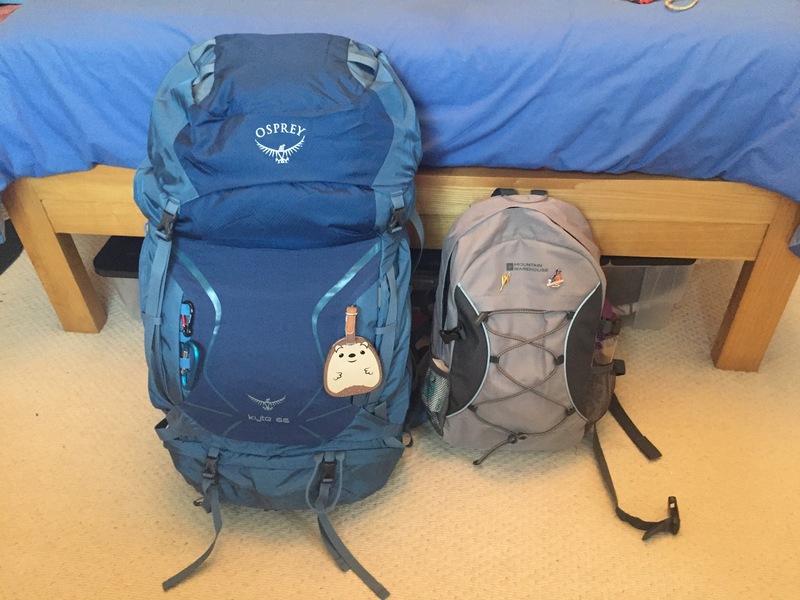 And that’s just about everything I think… It’s not the most exciting list – I’d love to carry around a bag full of Haribo (it would be a lot lighter too) but it’s hopefully everything I’ll need in South America. And if not, I’ll either throw it out or pick it up along the way! That’s it for now – next post will be more exciting, I promise! It will come from Venezuela! Yes it’s 66L! And I got it in a sale (but still cost £120!) It was recommended to me by the sales assistant who had one herself. There are loads of pouches and there’s an adjustable back. Hopefully it will be worth the price tag!